Tesla Motors Model S: Although Tesla Motors Inc (NASDAQ:TSLA) vehicles are best known for being electric, there are other reasons why the company is making headlines as of late. For example, we reported yesterday on Tesla’s bid to make car ownership more enjoyable. Now, let’s take a closer look at how these vehicles are being used by more than everyday drivers. It appears that Tesla Motors Inc (NASDAQ:TSLA) Model S vehicles are being added to taxi and chauffeur services on both sides of the United States. While most people are used to jumping into an old taxi or Lincoln Town Car, for example, this may be changing in the years to come if Tesla has anything to say about it. Despite the high price tag, there is one reason why taxi companies would want to take a closer look at what Tesla Motors Inc (NASDAQ:TSLA) has to offer: the fact that the vehicle is electric. As you can see, companies are giving this vehicle a try for a couple of reasons. On one side of things, they want to see if customers are excited about taking a ride in the vehicle. If so, it can go a long way in improving business. On the other side of things, they have to determine if the Tesla Motors Inc (NASDAQ:TSLA) Model S is actually capable of handling the workload. This is likely to be the bigger of the two questions. The article goes on to two discuss two companies, one in Los Angeles and the other in Boston, that are experimenting with the Tesla Model S.
The cost of the vehicle is one major deterrent that may hold more companies back. That being said, the 265 mile range of the battery may be able to make up for this over the long haul. It may not happen in the near future, but sometime down the road you may find yourself hailing a cab and ending up with a Model S as opposed to a Ford Crown Victoria or Chevy Impala. 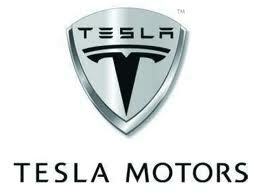 Not sure of what the Tesla Motors Inc (NASDAQ:TSLA) Model S has to offer? If this sounds familiar, check out the video on the following page.